Abroad they called us mangiaspaghetti and they made us angry. Pasta is so deeply rooted into Italian culture that international creative cuisine has often tried to relate to our national icon, adoring, revisiting and twisting it; meatime in Italy we couldn’t even contradict the cooking time written on the packages. Marchesi was a subversive, with its first raviolo aperto (open ravioli, forerunner of many others in the 80′s) and his love for cold pasta, synthesized in the ’90s with the “piatto unico di pesce” (single dish of fish), which later would have been loved so much by Paolo Lopriore and Davide Scabin too. 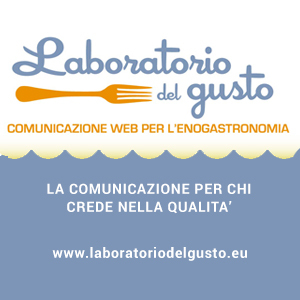 Thanks even to the disclosure made ​​by Identità Golose, with its branch Identity of Pasta (we had a report of the latest edition here) then research started. And it’s not only pasta: going back trough the memory of international menus and events in recent years, we find the pasta several times, even when it’s not there, often as an inspiration more that as an ingredient. Often it’s the shape of pasta to intrigue chefs. At Identità Golose 2014 we saw “scallops spaghetti” by the Japanese Yoshiaki Takazawa, pasta made ​​with a blend of scallops, composed into spaghetti, cooked confit in oil, topped with sea urchin sauce. Then the Spanish chef Quique Dacosta has presented one of his tapas, spaghetti puttanesca, homage to the classic Italian recipe, with noodles made with hollandaise sauce acidified, lying on a pil pil of semi-dry tomatoes, with sardines , anchovies and olives. “As a Carbonara” is the dish presented by the Spanish Josean Martinez Alija at Basque congress San Sebastian Gastronomika and also at Culinaria, gastronomic event in Rome in 2013. The dish is made with daikon noodles, cooked sous vide in milk, with egg cream, Iberian bacon, sichuan pepper. We don’t have photos, but another daikon carbonara, with bottarga and lemon zest, was showed by the Greek Christoforos Peskias on the stage of Andalusia Sabor 2011. And now historic pupunha carbonara by Alex Atala: a Brazilian review of the Roman dish, presented at Identità Golose 2009. Ingredients are palmito pupunha, chopped as fettuccine and blanched, with bacon, sieved egg yolk, cream, Parmigiano Reggiano cheese, parsley and truffle butter. It all began irrevocably with Ferran Adrià: the Bulli Catalan genius, in 1999, shocked gourmets (and even many Italian critics), presenting its tagliatelle carbonara, trompe l’oeil made ​​with chicken consommé, solidified with agar agar in the shape of noodles, with bacon, bacon butter, Parmigiano Reggiano cheese and raw yolk. 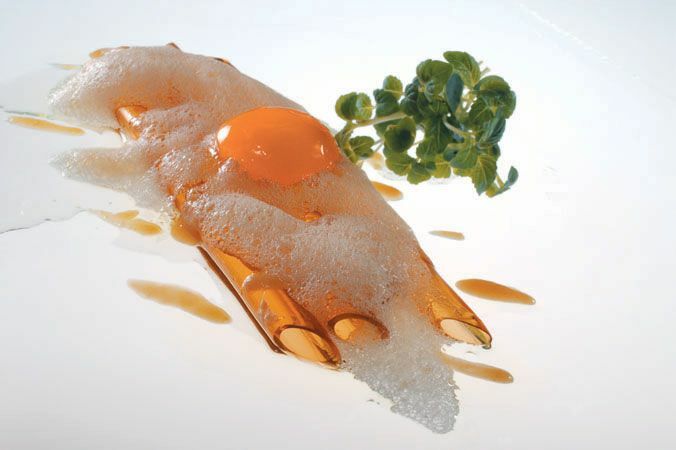 Since then, the experimentation on forms, feelings and tastes about pasta were at the center of the international culinary scene and in the Bulli menus: after the carbonara, it was the turn of jelly cannelloni, with Iberian bacon, anchovies caviar and black olives, in 2005 , along with another series of experiments on formats (we remember also a licorice lasagna), to finally reach a complex dish like macaroni with eggs, miso, sesame and green shiso.